Best Times to Visit – Charleston Shines! 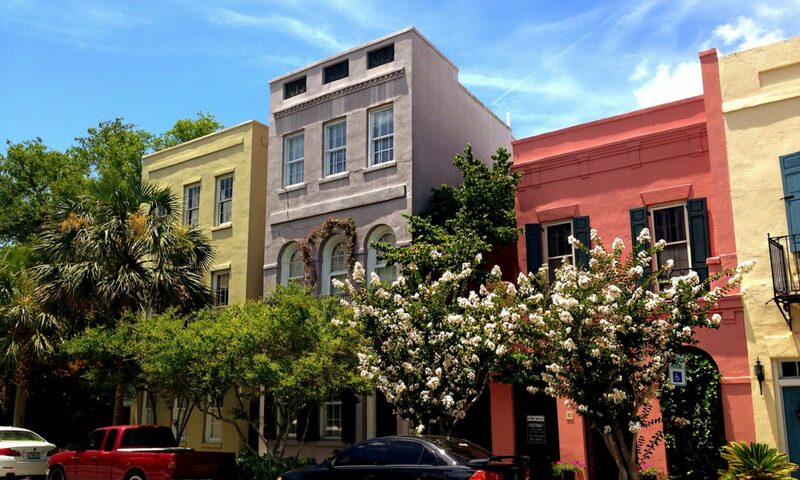 Springtime and early summer (through June) is the best time to visit Charleston. The weather is nice – warm enough to enjoy being outside in early morning or late at night but not unbearable during the day. The azaleas, magnolias, wisteria and honeysuckle are in full bloom. Accommodations are more expensive and fill up fast. Traffic is lighter on the weekdays. Stores, restaurants and Old City Market are still open. Traffic is heavy for the Family Circle Cup tennis tournament is held in April. Spoleto Festival begins in late May (Memorial Day) and goes for 17 days. Traffic is very heavy and hotel rooms are booked way in advance. Restaurant waiting lists are long. If not there for the arts and music avoid visiting Charleston during Spoleto. Summer (beginning in July) is blistering – high temperatures and humid – but traffic is still heavy. Traffic at the beaches is, however, still lighter in the Charleston area than in the Myrtle Beach area. Fall ranges from pretty warm in September to pretty cool in November. Traffic is lighter than summer but heavier than winter. Traffic becomes heavier for The Preservation Society of Charleston’s Annual Fall Tours of Homes and Gardens, late September through late October. Stores, restaurants and Old City Market are still open. Winter is somewhat rainy and cool but rarely freezing. Traffic is light. Traffic is heavier in mid December thru New Years due to the Christmas decorations adorning the city. The Holiday Festival of Lights at James Island is very popular. It runs from November through New Years.